Jarrett Scherff hails from the desert and grew up exploring the mountains and mines outside of Phoenix. 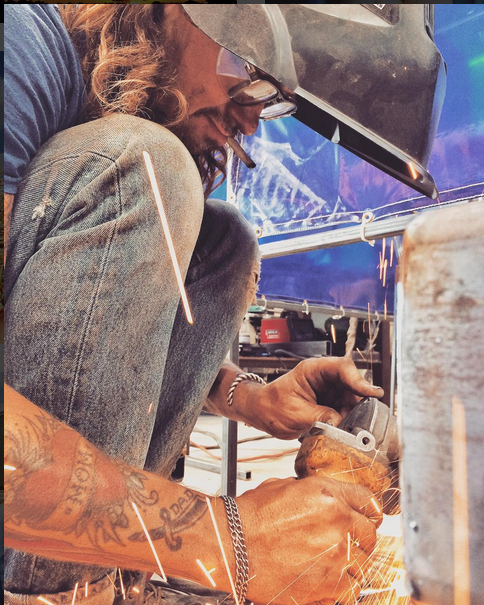 His background is graphic design and art direction, with an emphasis on repurposing steel and other found objects. He found that working with his hands and being challenged physically and mentally, was much more fulfilling than working in front of a computer. He loves that getting to work at Drophouse allows him the opportunity to work on so many different types of projects with great people. He digs the HEAT.